About 90 km north of Lisbon, on the Silver Coast, in the little village of Salir de Matos, in a quiet, rustic area lies Quinta Verde. Our Bed and Breakfast is situated amidst a beautiful garden with numerous native fruit trees and is the perfect location for your holiday. 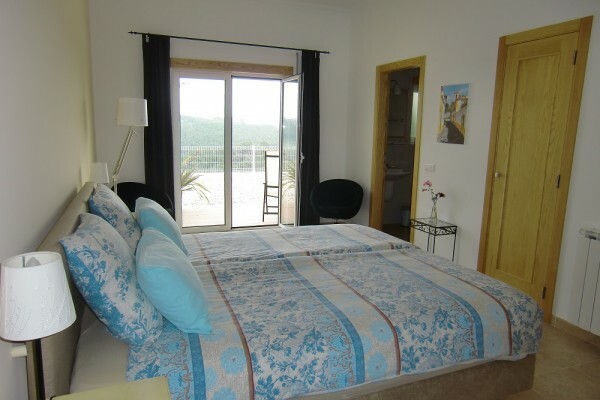 A stay in Bed & Breakfast Quinta Verde is all about peace, comfort and a relaxation. What's more, in the near vicinity you can discover the delights of the Portuguese culture, the fine food, hospitality and the beautiful coast. The climate is very mild during the whole year. De Quinta is in a rural area just inland from the coastal area, de Costa de Prata (the Silver Coast). There are several beautiful walks right on our doorstep. It's possible to stroll around our valley garden (15.000 m2) with its fruit trees. Or put on your walking shoes and follow one of the marked trails in the neighbourhood. For those wanting to walk at higher altitudes the mountainous national parks Serra de Aire and Serra de Candeeiros, to the east of the B&B, are definitely worth a visit. 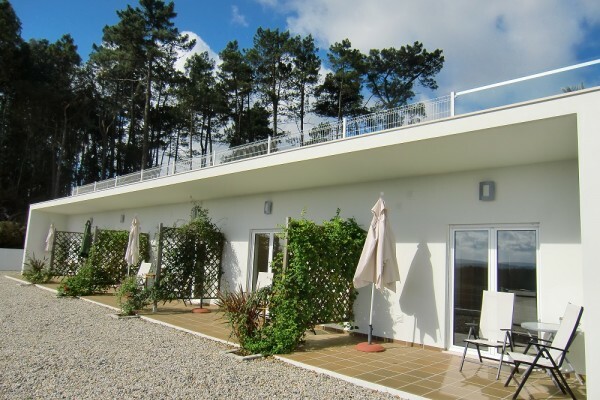 The seaside resort São Marthino do Porto is just a 20 minutes drive away. Here you can swim in the tranquil bay. The beautiful sandy beach is ideal for children because of the calm, shallow waters. The resort also boasts a fine boulevard. The picturesque seaside resort of Nazaré has an attractive sandy beach surrounded by rocks on both sides. There's a long boulevard with shops and countless restaurants, where you can eat freshly caught fish. Other places along the coast are: Salir do Porto, Foz de Arelho and Peniche. A 10 minutes drive takes you to Caldas da Rainha, a pleasant city with nice shops and outdoor cafes. Every morning you can visit the characteristic Portuguese vegetable and fruit market. The double rooms are large (±25m²) each with a private bathroom with hand basin, spacious shower and toilet. The comfortable box-spring beds are generous in size; 0.90x210cm. So a good night's rest is guaranteed! There is a wardrobe and a comfortable sitting area. Your room has an access to internet. Each room has French windows to your private terrace, from where you have a beautiful view over the valley (Vale da Pipa). You can walk into the beautiful garden or you take a stroll in the orchard with a variety of fruit trees. Reduction with 7 nights of more. The breakfast consists of: fresh rolls, (home-made) jam, honey, ham, cheese, an egg or something else, yoghurt, cornflakes, fruit, fresh orange juice, coffee, tea or milk. Your holiday gets off to a great start with a good and leisurely breakfast! No experiences yet with B&B Quinta Verde. Be the first! 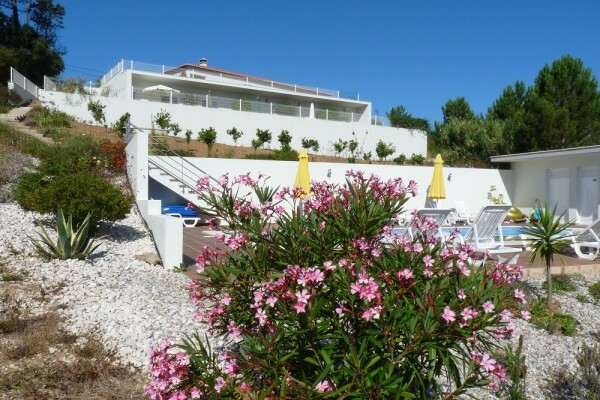 Did you stay in B&B Quinta Verde? Let us know what you thought about it and help others to make the right choice! * I confirm having stayed in B&B Quinta Verde. 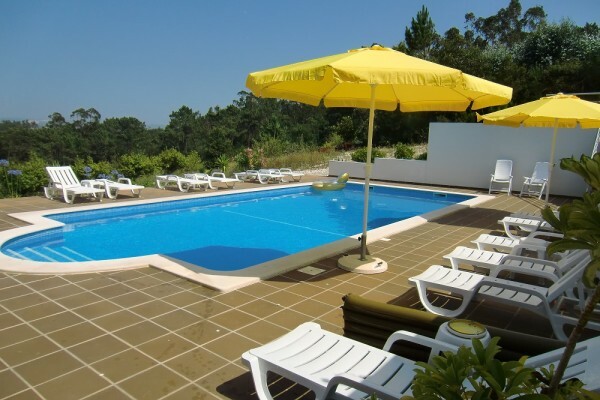 Find other bed & breakfasts in Caldas da Rainha or all bed & breakfasts in Centro.